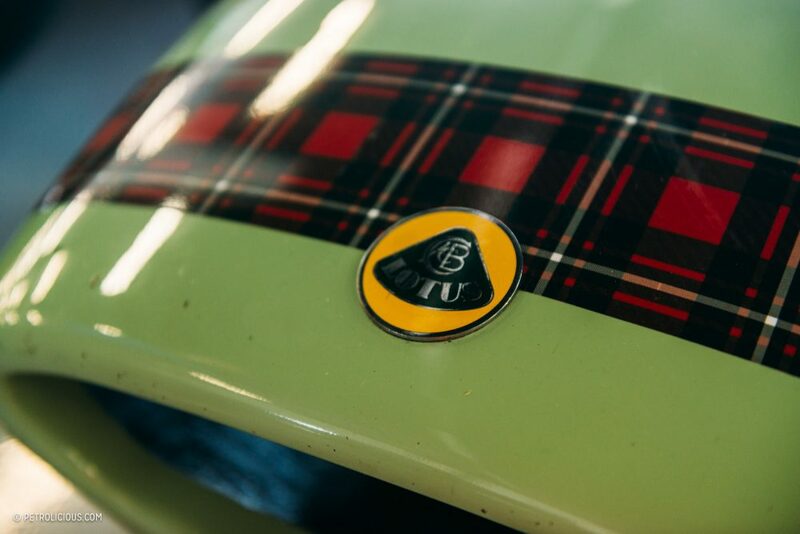 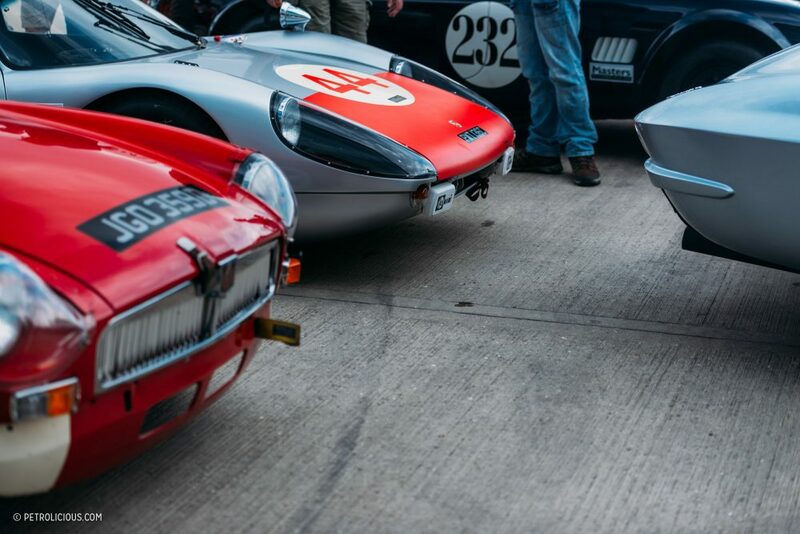 It can be easy to try too hard at classic car events. 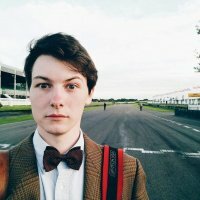 Straw hats and garden party attire are quite often the dress code at some of the UK’s most exclusive shows, and while it makes for unique people-watching it can seem a bit contrived at times. 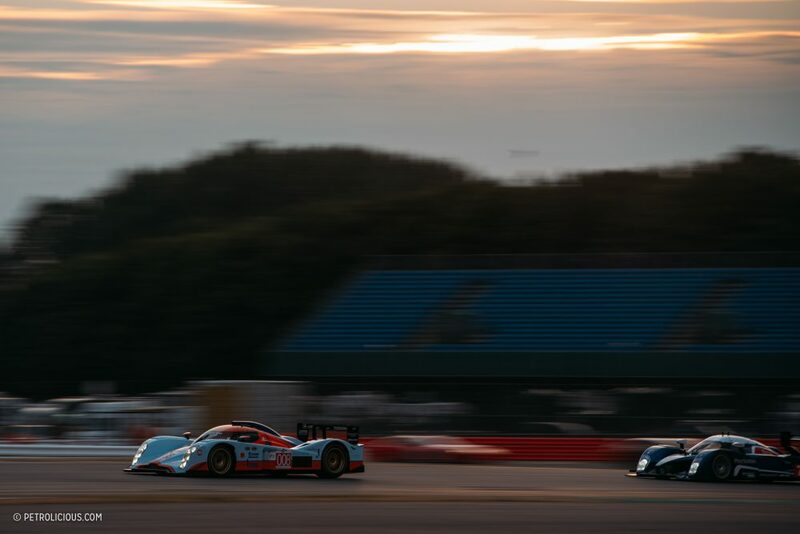 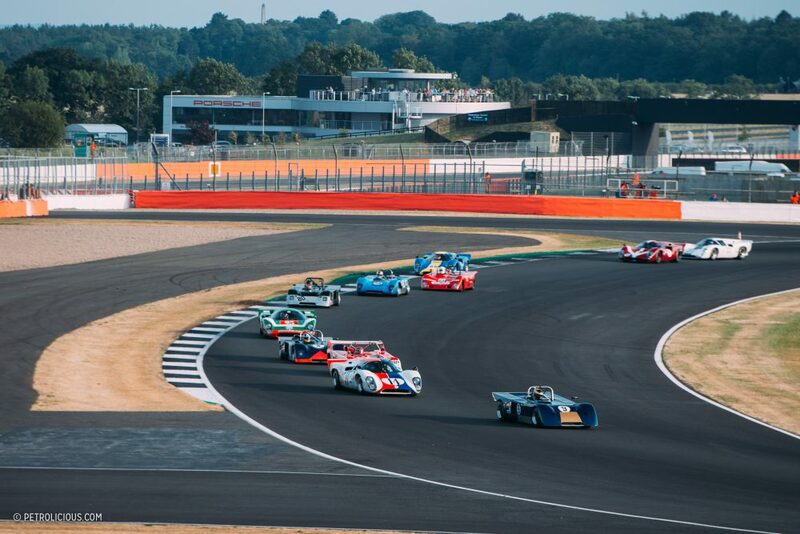 If you’re in it for the cars though, thankfully all of that is cast aside at the Silverstone Classic; the only thing that really matters here is the racing. 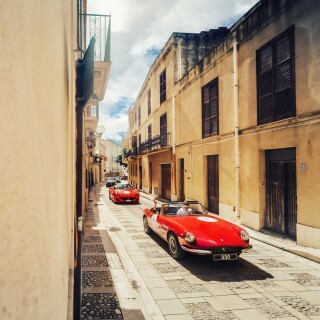 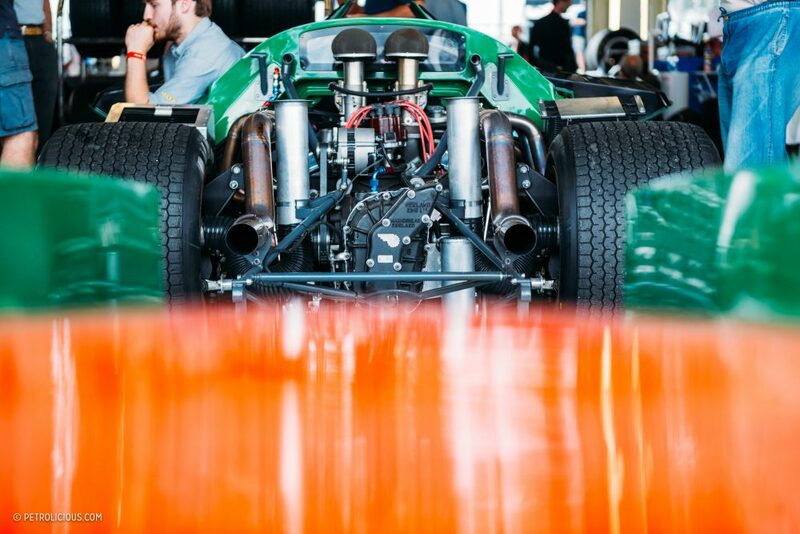 As long as you care about cars as passionately as everyone else, you’re persona grata. 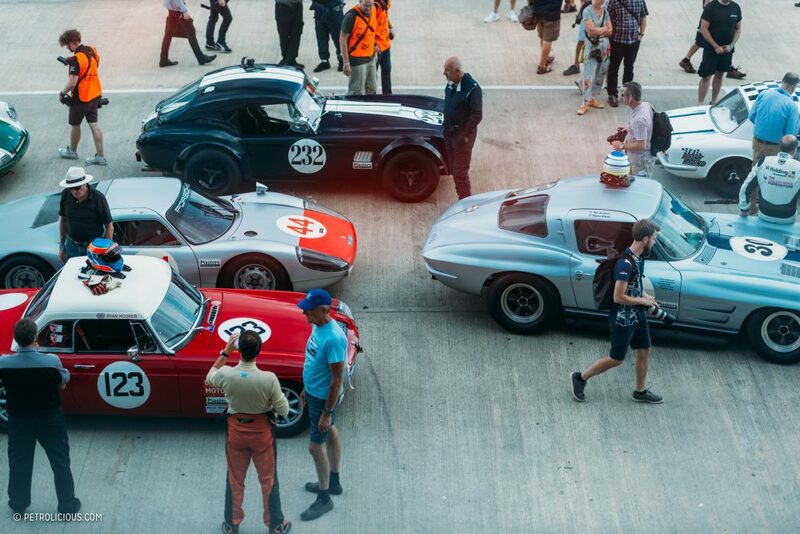 Imagine the Goodwood Revival but with trainers instead of tweed. 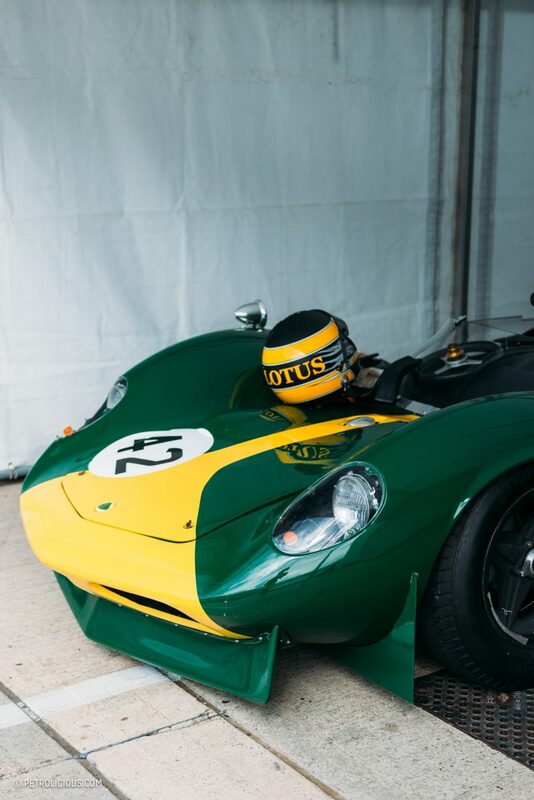 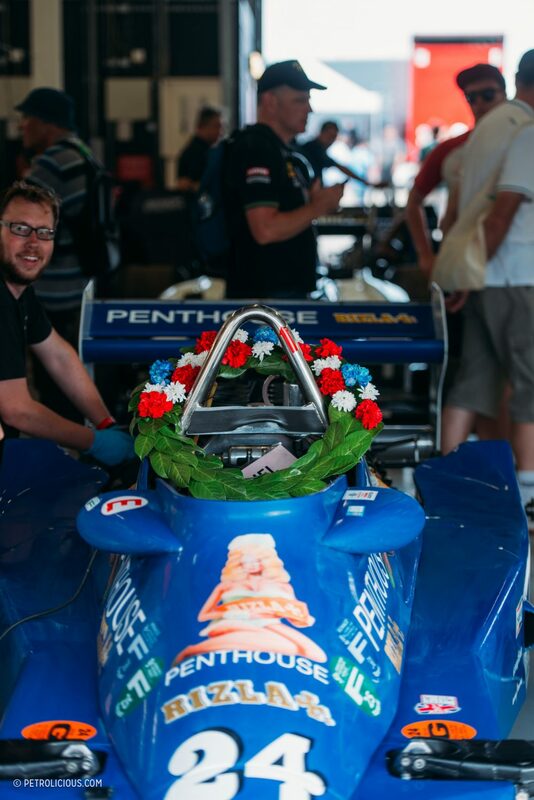 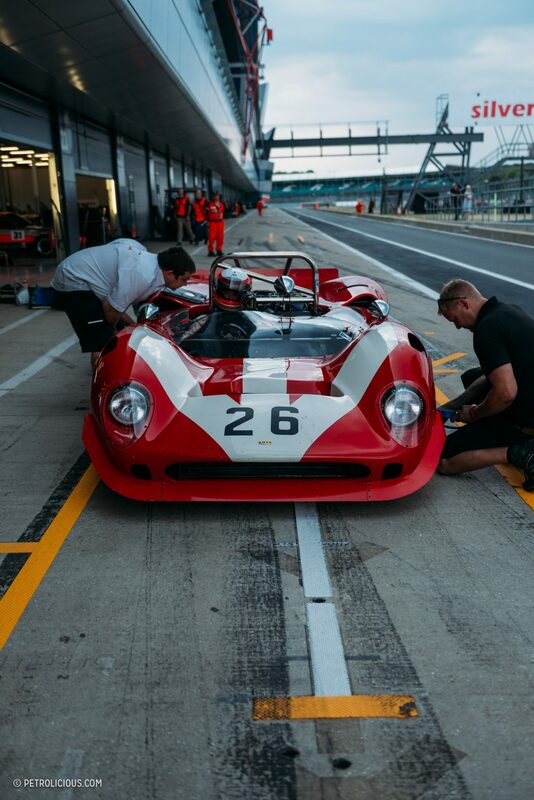 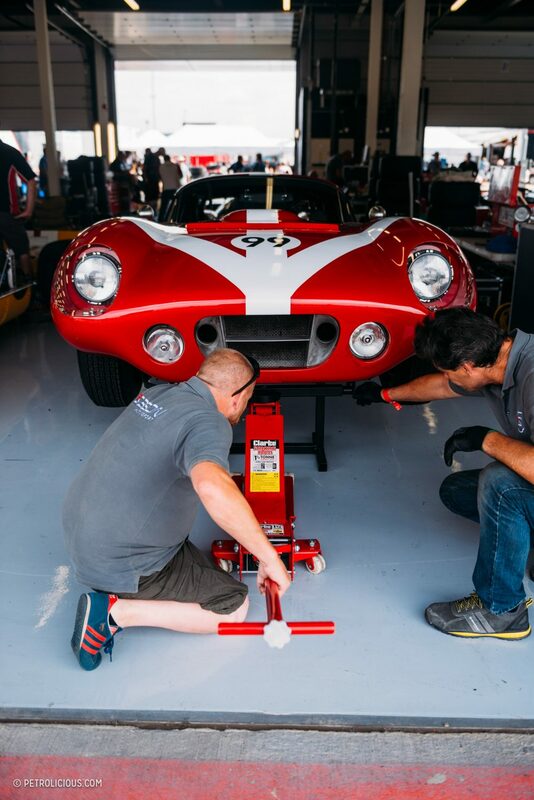 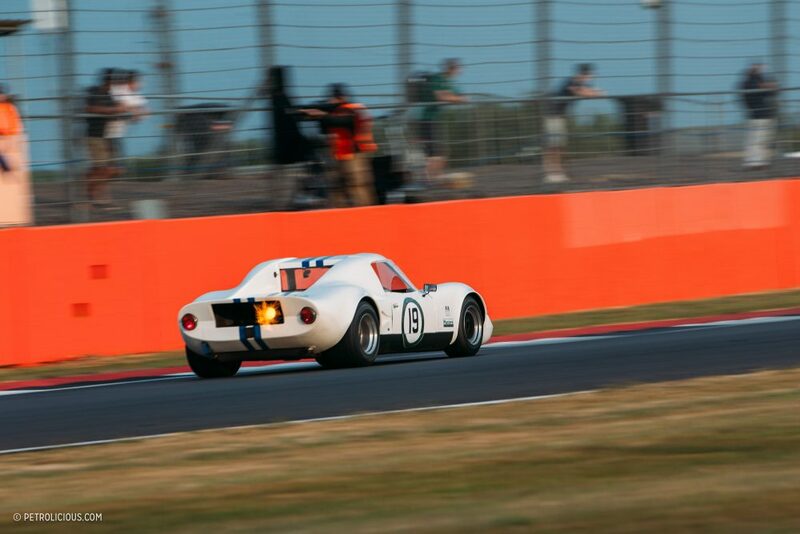 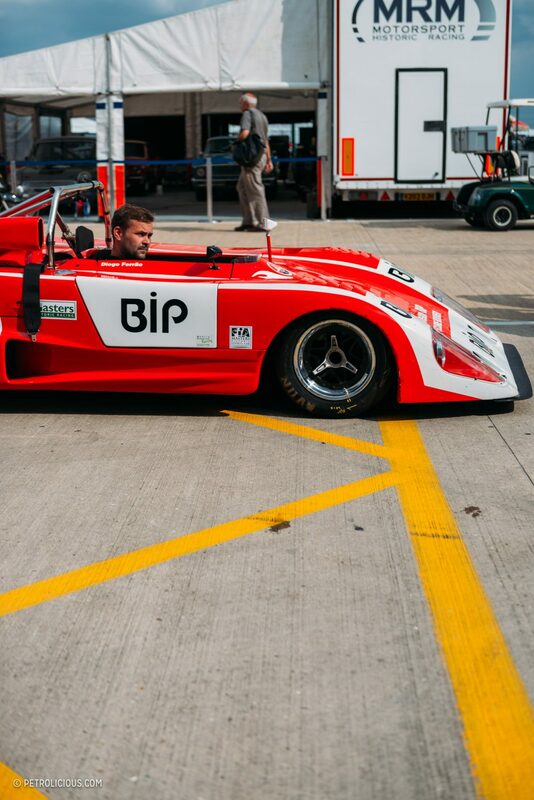 That’s the Silverstone Classic, and in a lot of ways, it’s all the better for it. 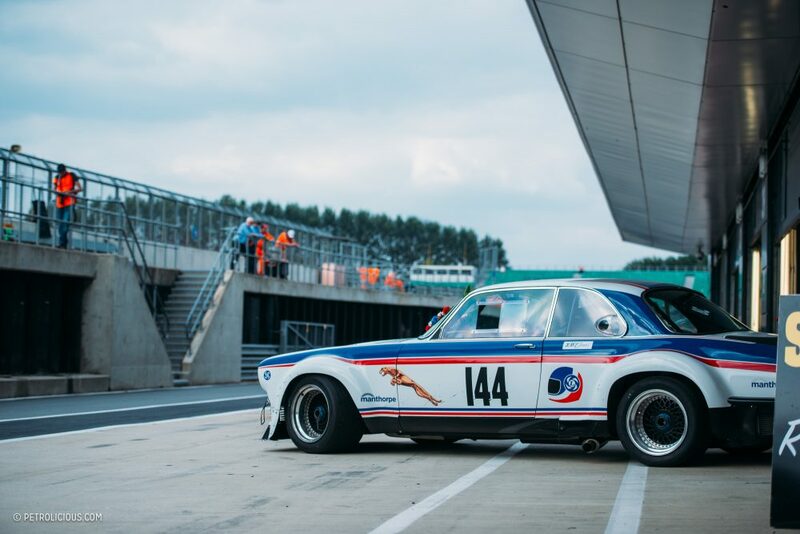 It’s not trying to hark back to the halcyon days of motorsport in quite the same way as the more prestigious goings on at Goodwood, but it’s still an amazing, must-attend weekend on the British racing calendar. 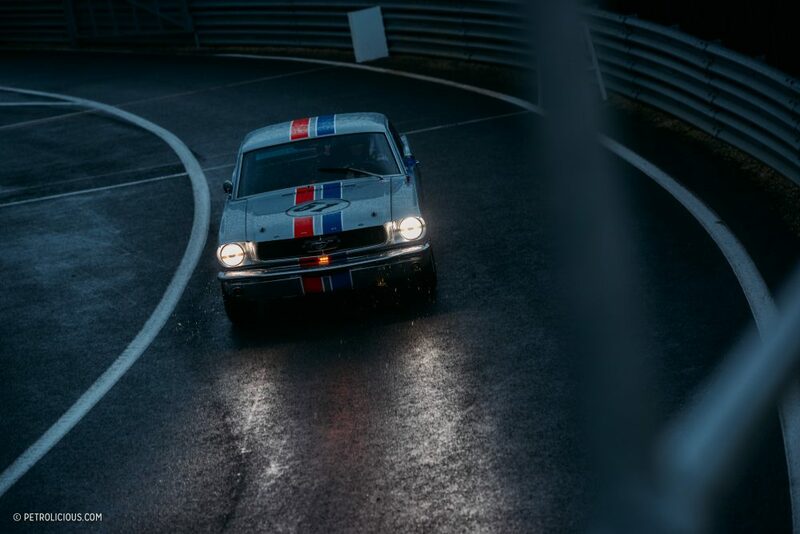 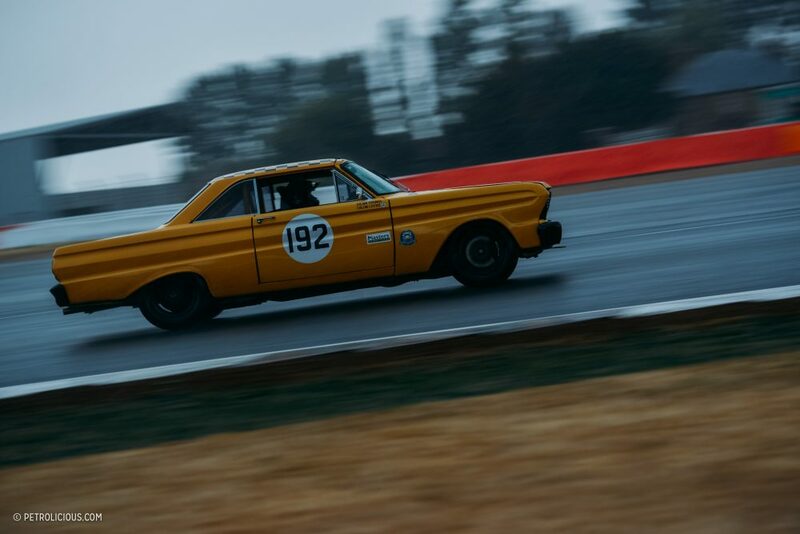 With six-figure audience attendance and a smattering of classics getting thrashed about, one can say that the mixed bag of cars have been plucked from all over the spectrum of motorsport, but only from the highest points along it. 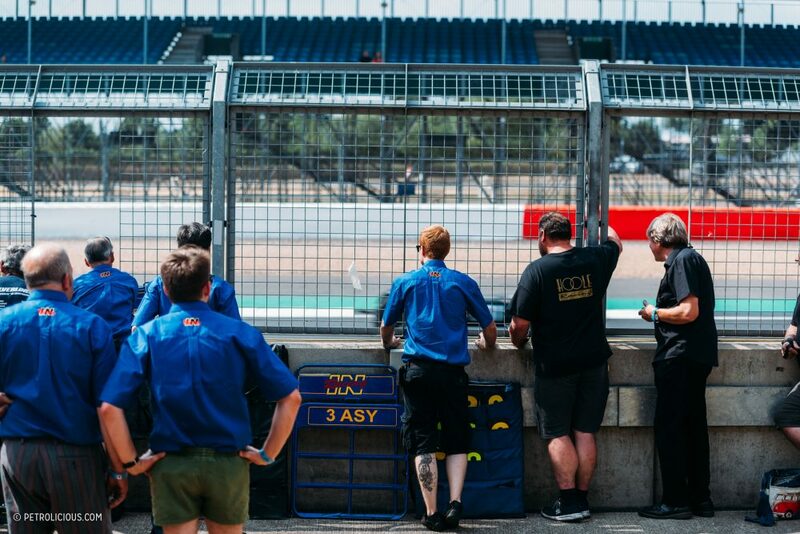 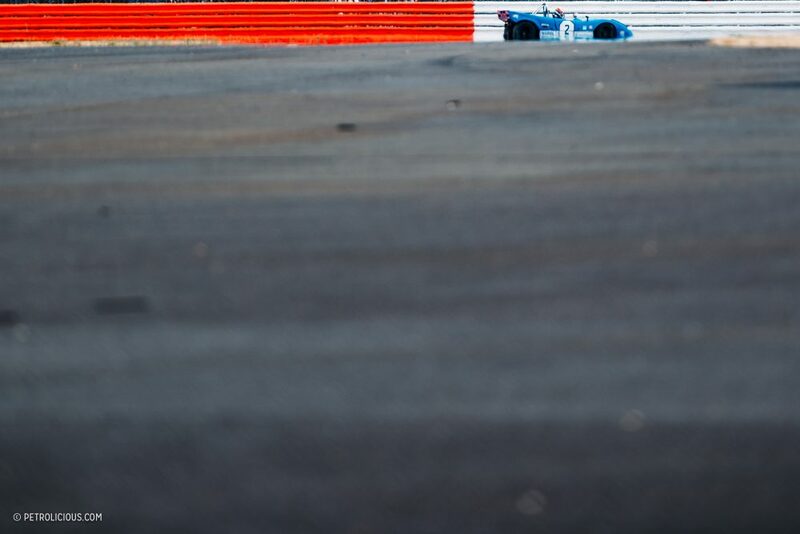 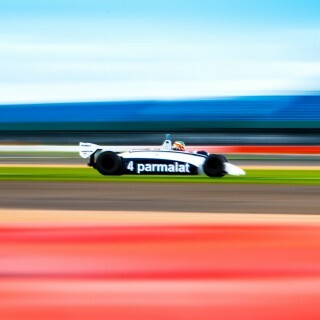 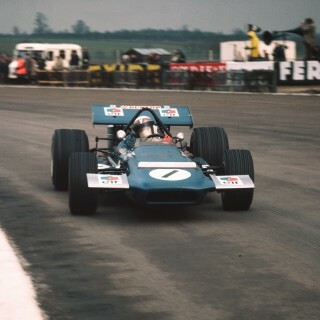 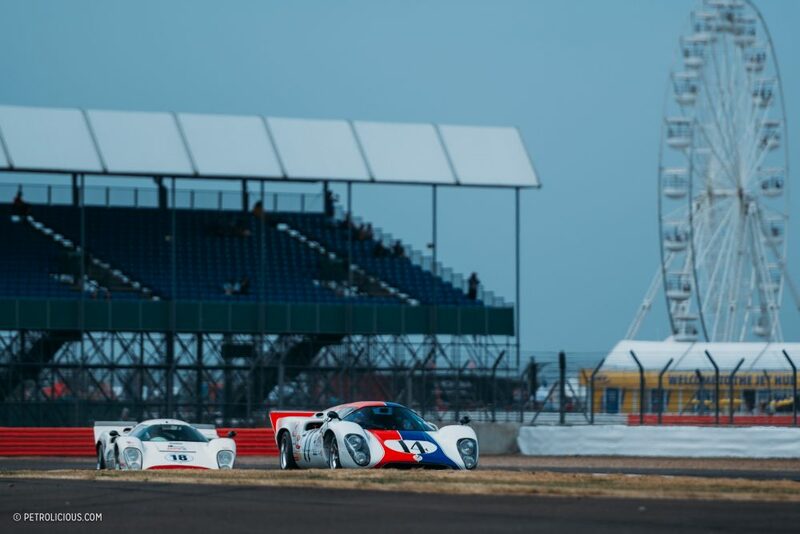 Spread out across two paddocks and the entire infield of Silverstone, the turnout of racing history is immense, and they aren’t here for warm-up laps or low-rev parading. 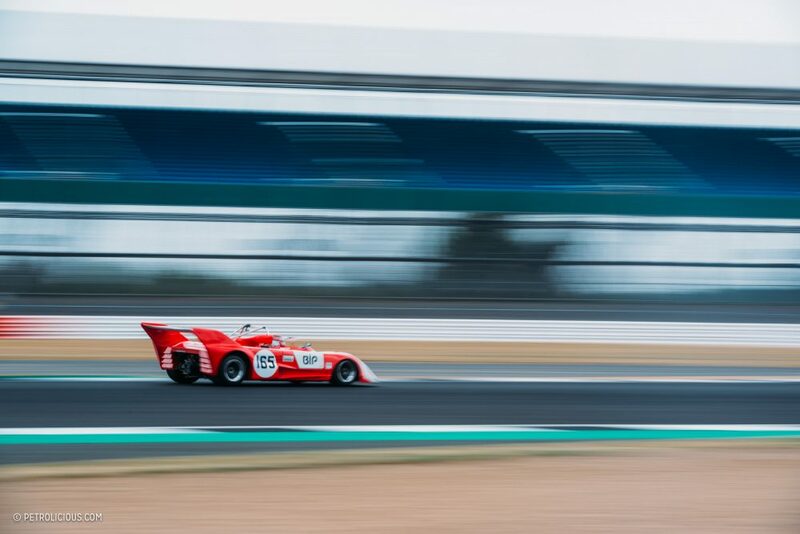 The flat Northamptonshire land the track is built on is dominated by two things at this event: the gigantic Wing Complex that functions as the F1 pit lane is one, the other being an equally large vintage helter skelter. 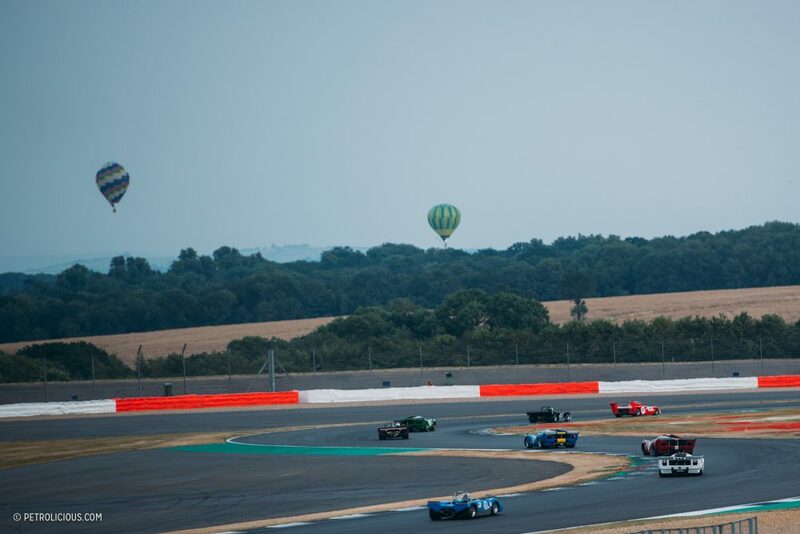 In the early mornings and evenings of the weekend-long event the sky is dotted with hot air balloons. 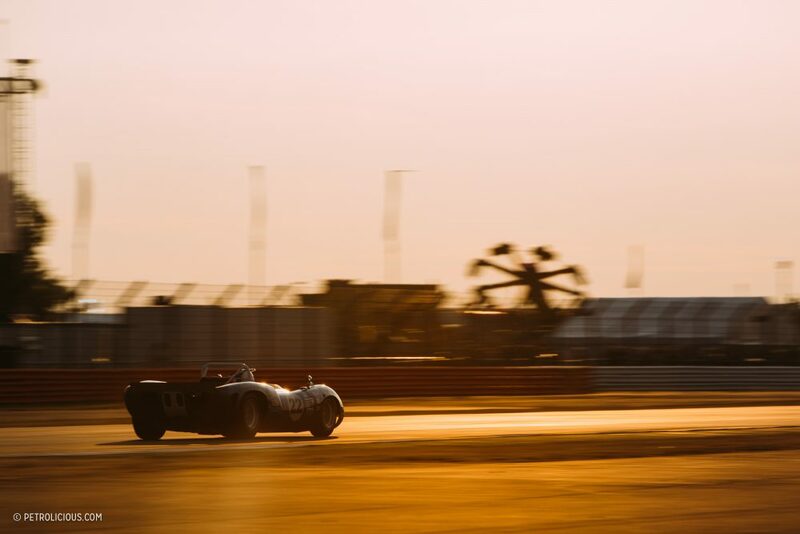 I didn’t go up in any of them, but to me it’s hard to imagine anything better than watching old endurance racers tackle the circuit at dusk from up close as they spit flames on approach the apex. 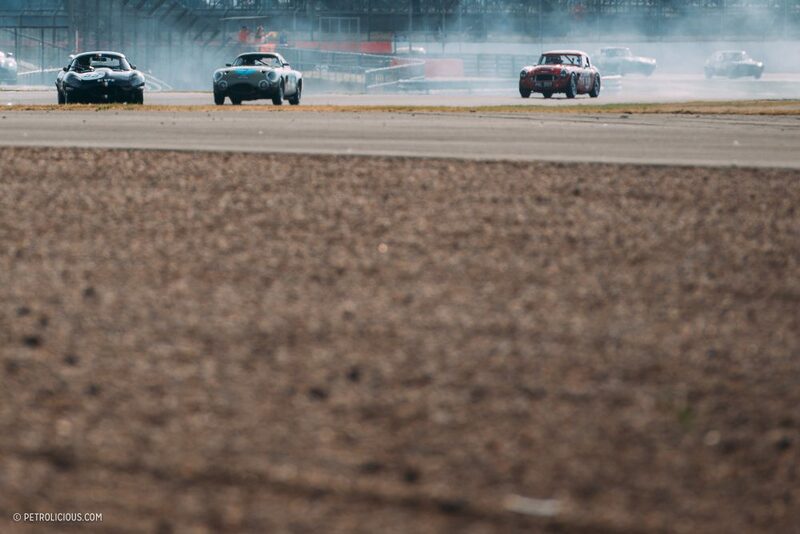 The big colorful aircraft in the background aren’t really one-hundred percent authentic or period-correct for most of the cars out here, but I imagine you’d agree they don’t take anything away from what’s going on below them. 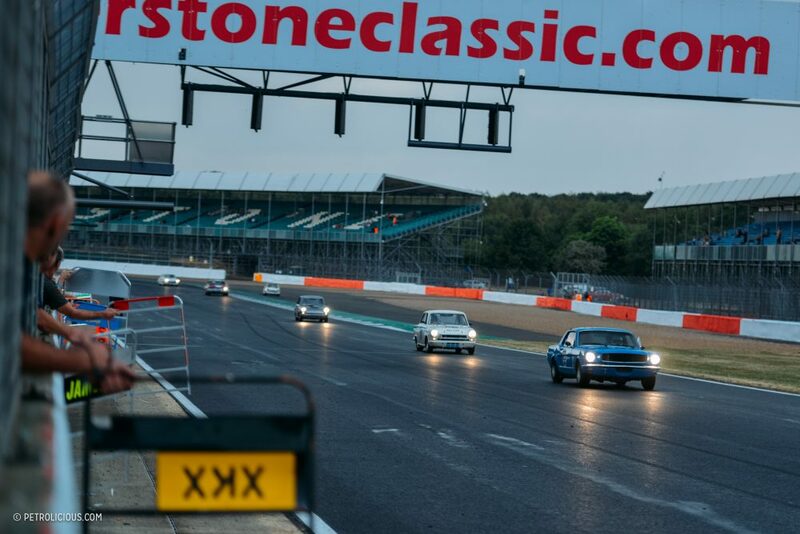 Whether you grew up in the ‘90s watching Super Touring car—which we’ll have a special feature on soon—or if the only thing to raise your heart is built out of WWII shrapnel and airplane parts, it’s likely here at Silverstone. 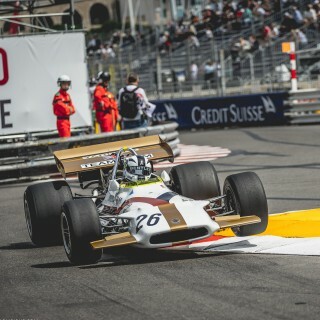 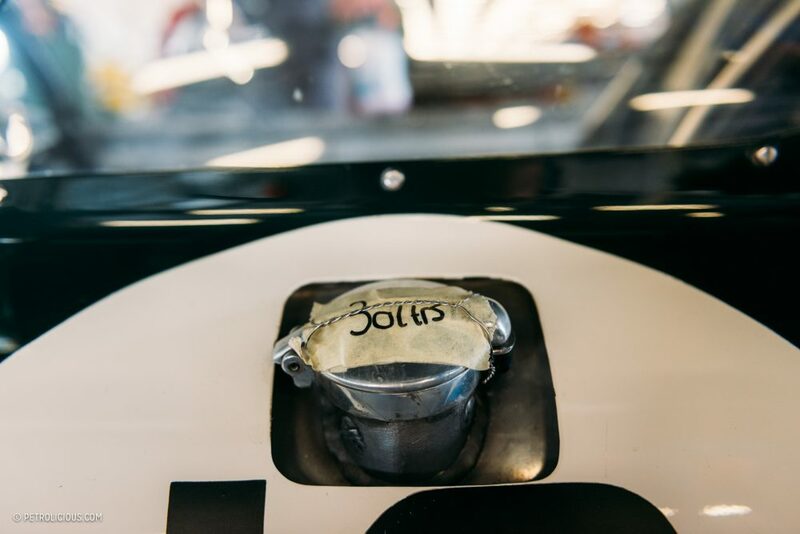 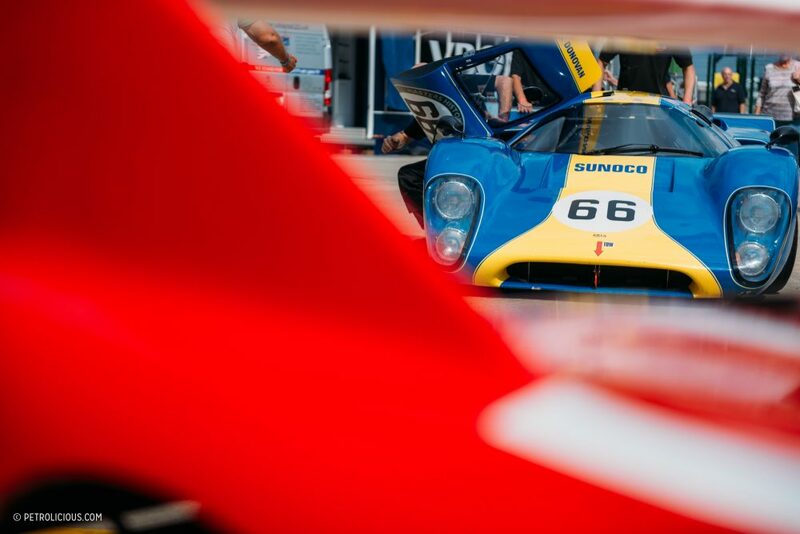 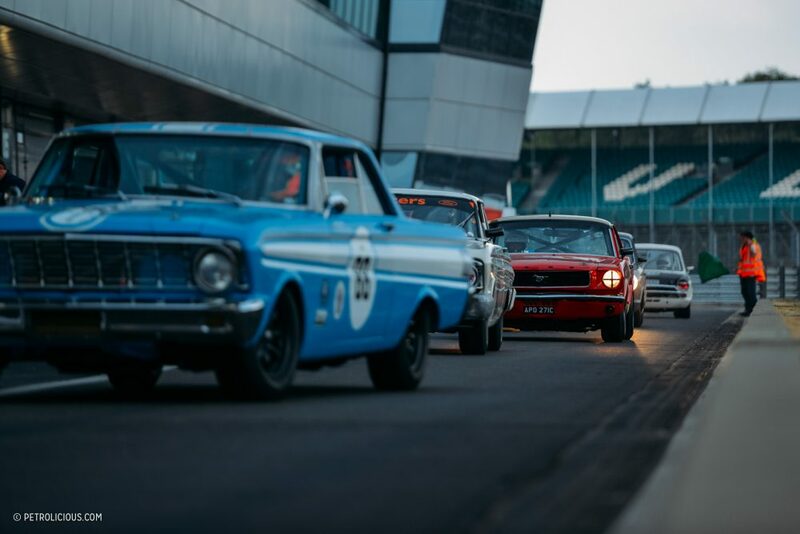 As always, the Masters Historic F1 grid brought a cacophony of DFV-powered racing to the circuit, while the vintage touring car grids sounded like an angry swarm of bees as the high-strung four-cylinders dominate the aural signature of the group of brightly-colored sedans and coupes. 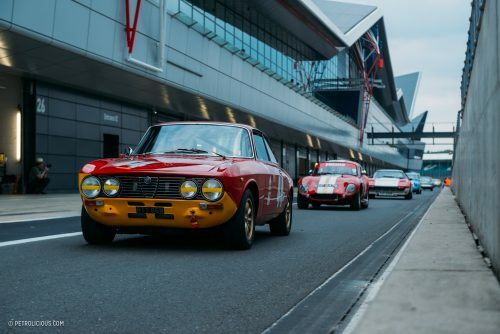 I find something uniquely enjoyable in each group that gets sent out, but to me the highlight this year was the Endurance Legends grid, which brought together an eclectic mix of endurance racers from the late ‘90s to the mid 2000s. 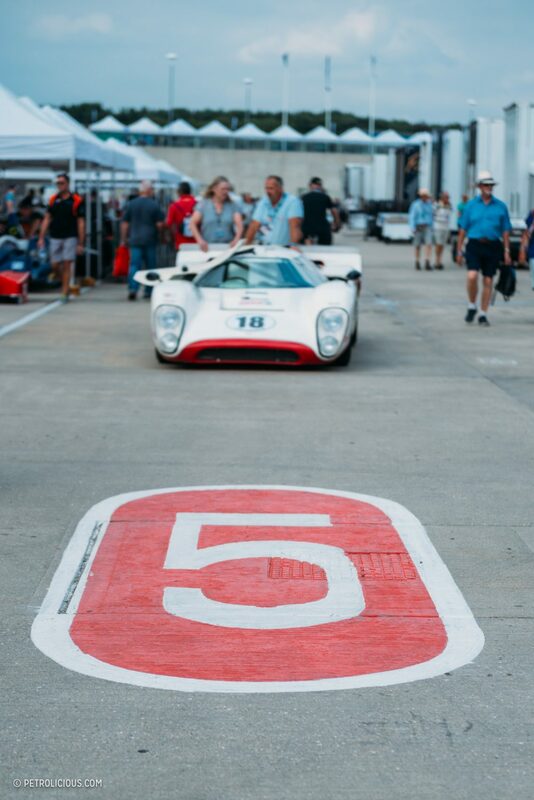 If you wish you were standing at the Porsche Curves circa 2005, you’re in luck, as we’ll have a feature on that set of cars soon too. 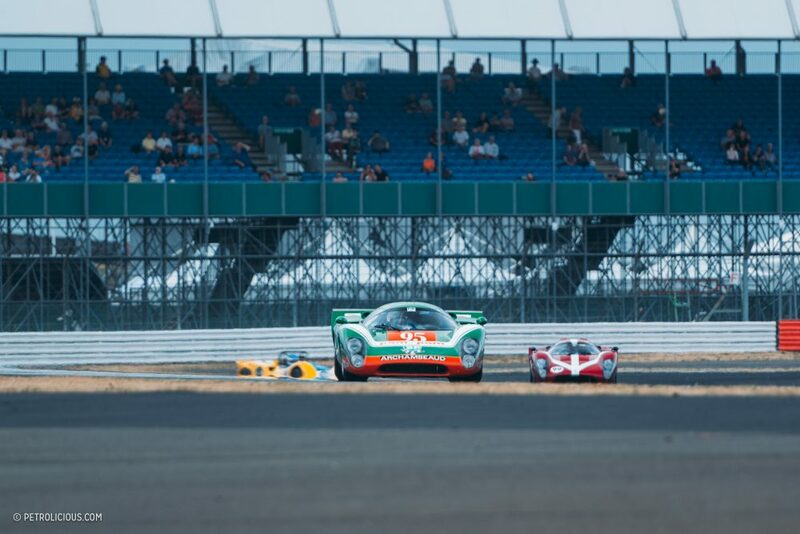 The huge grids in each group drew fans from all corners of Europe and the UK to see their favorite grids recreated in front of their eyes for the first time ever or the first time in years. 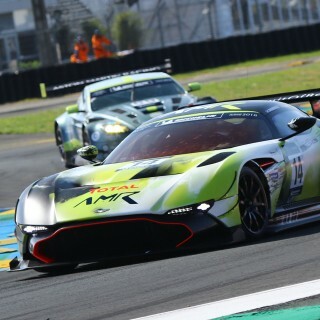 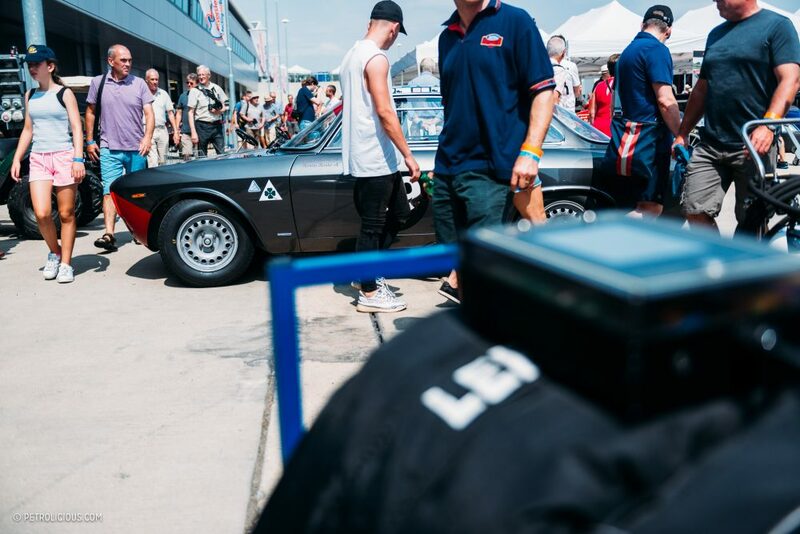 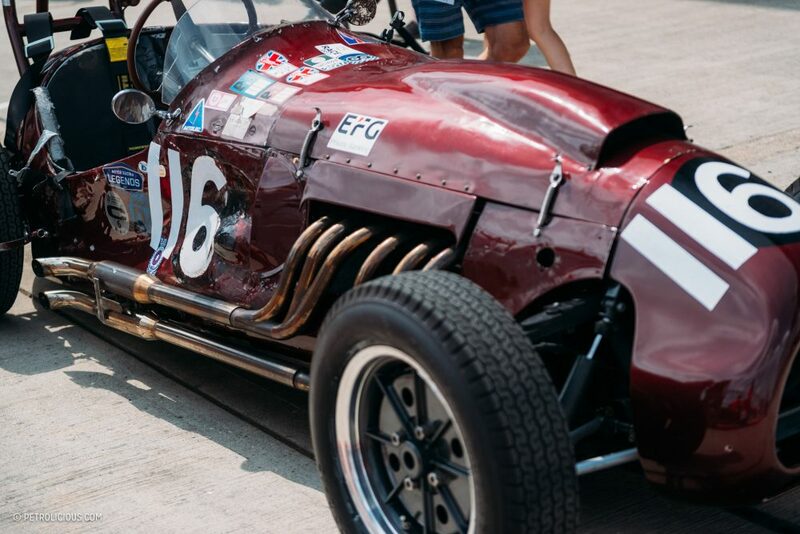 There are no byzantine entry requirements, and certainly not a lack of space on the entry list; if you’re a racer and your car meets the series criteria, come along. 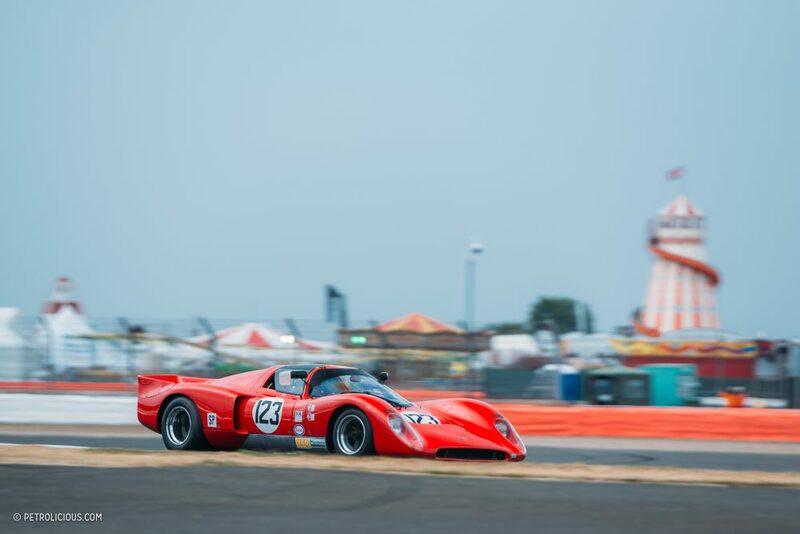 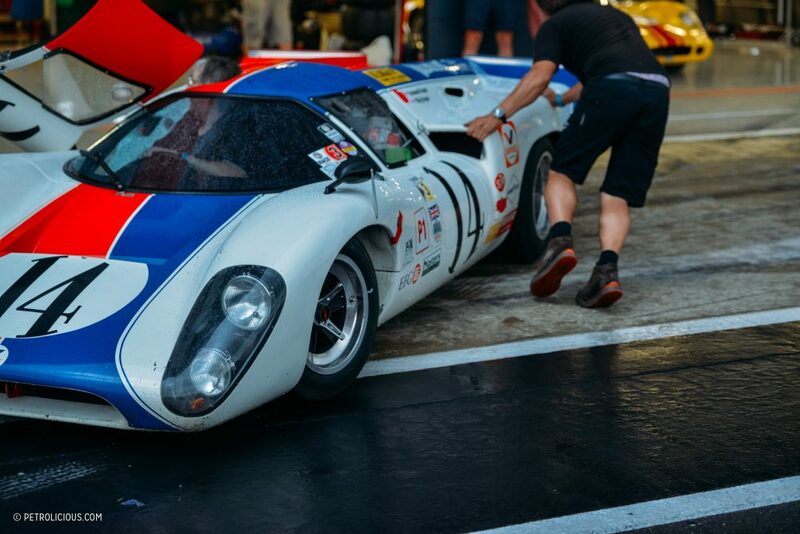 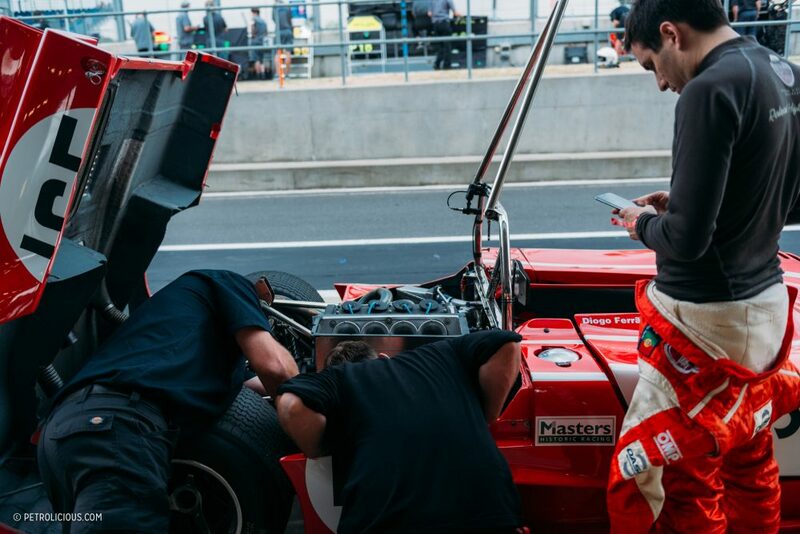 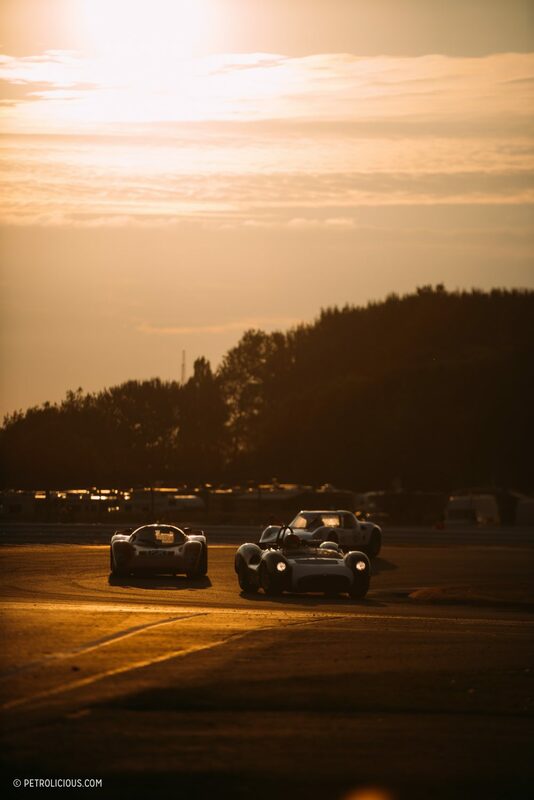 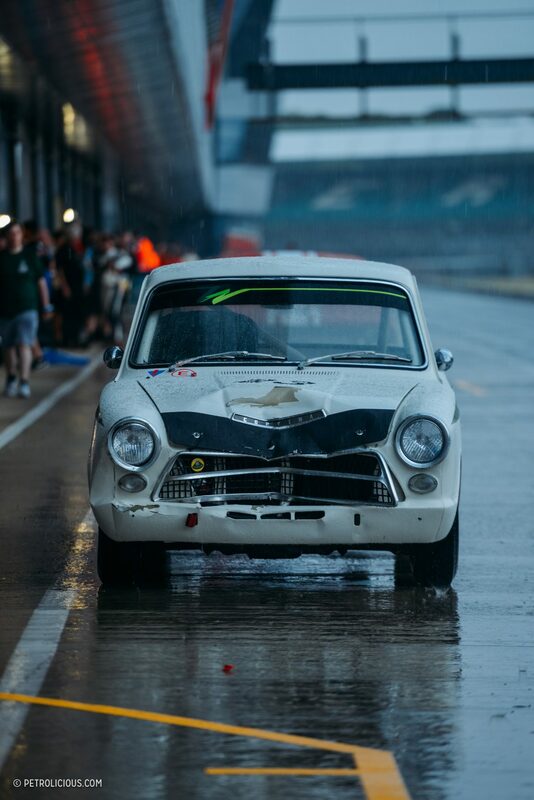 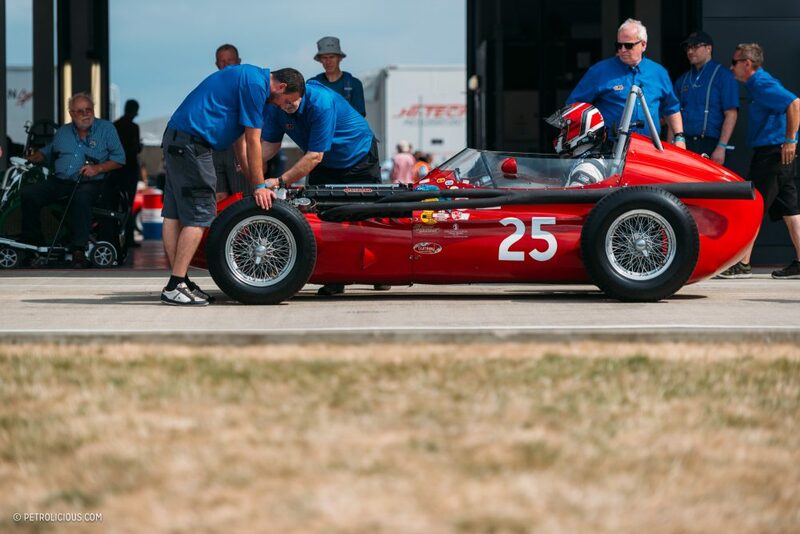 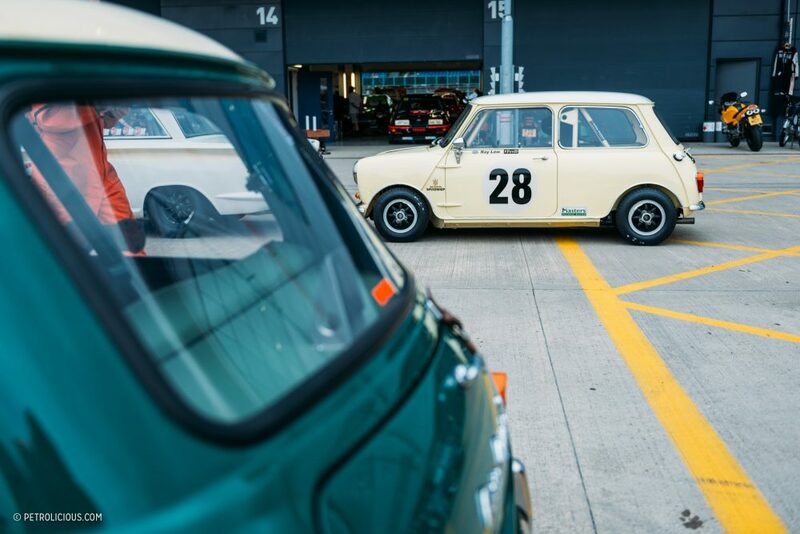 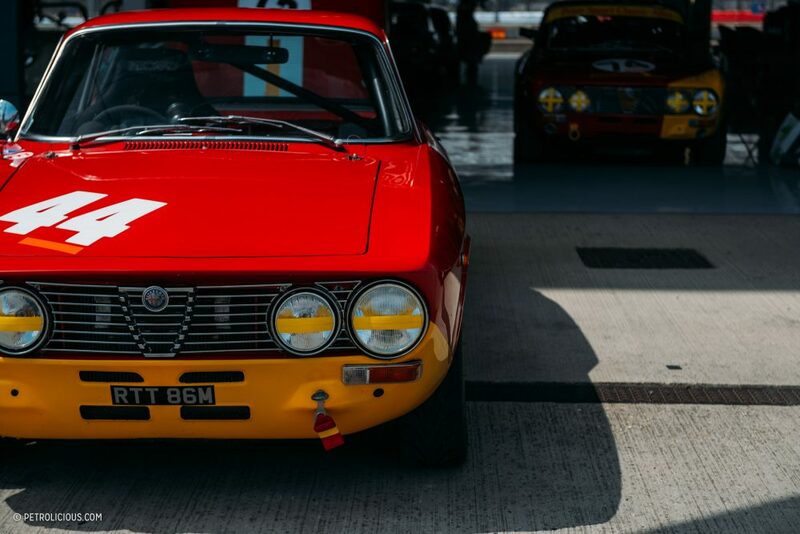 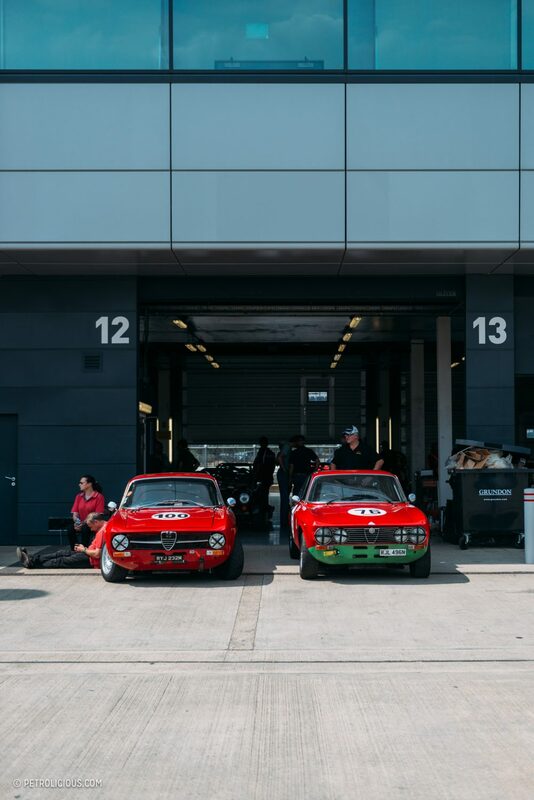 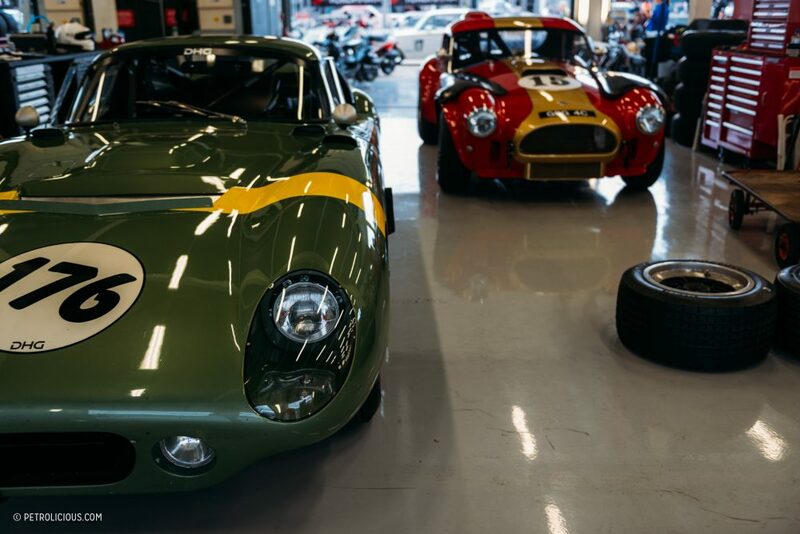 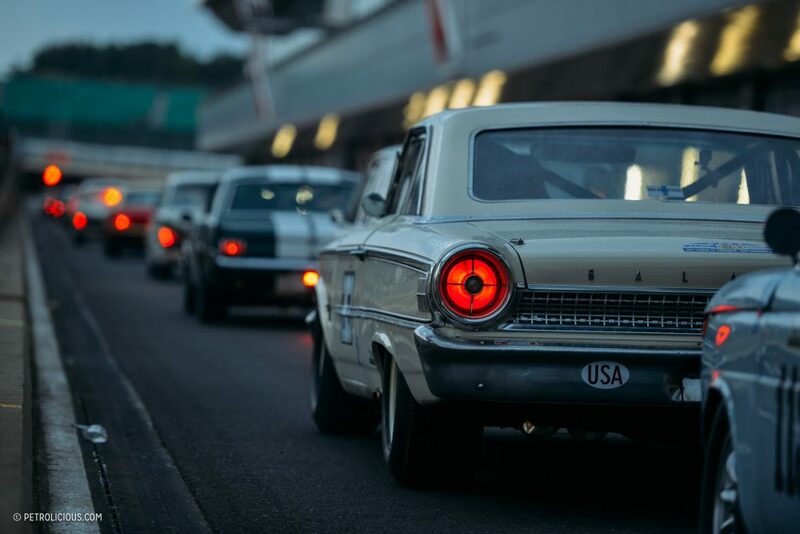 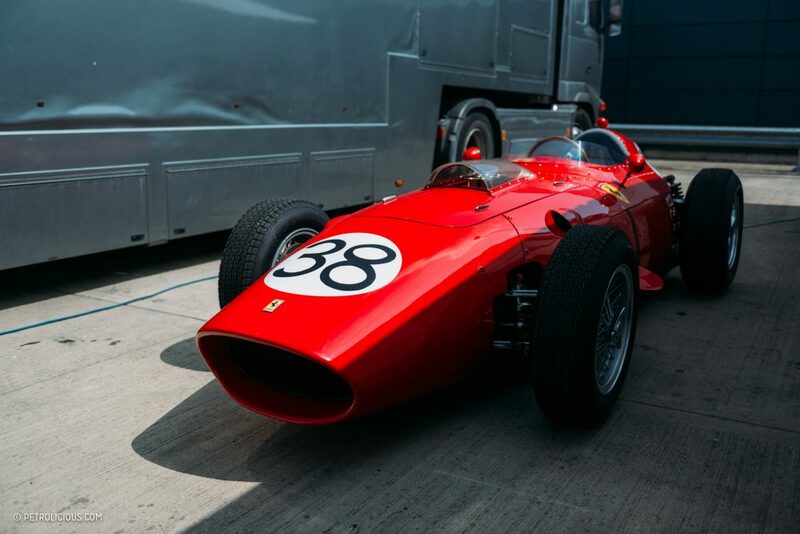 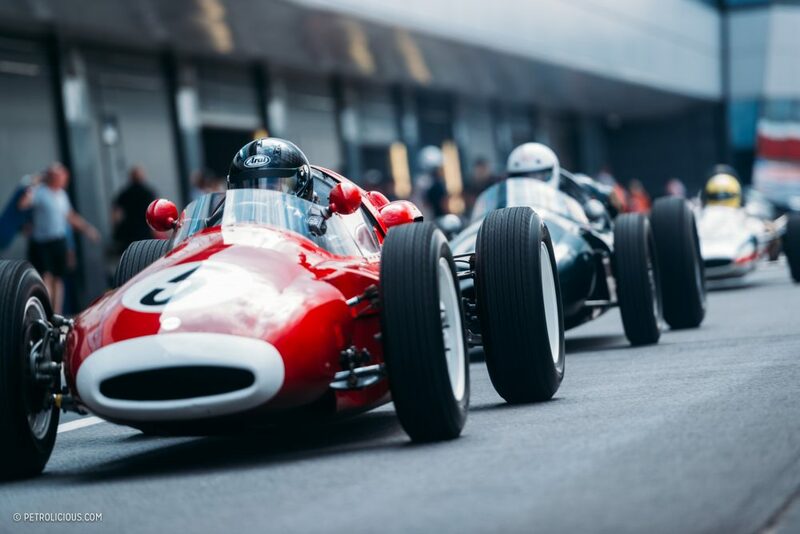 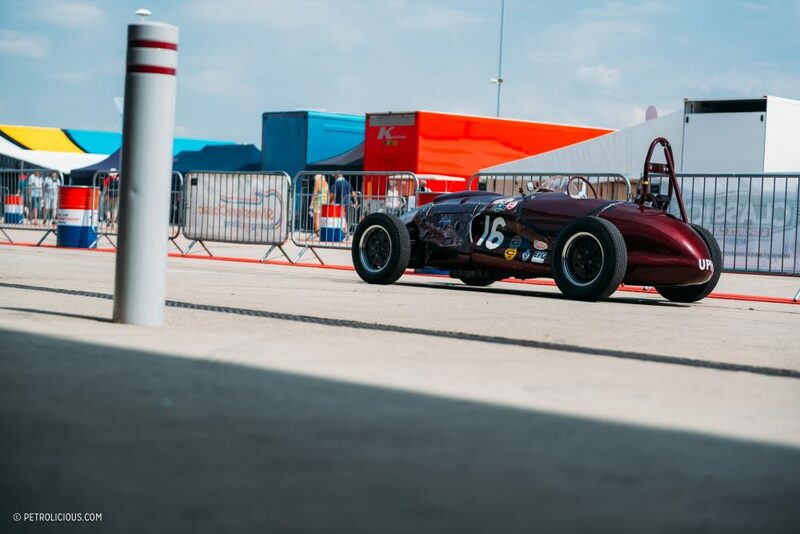 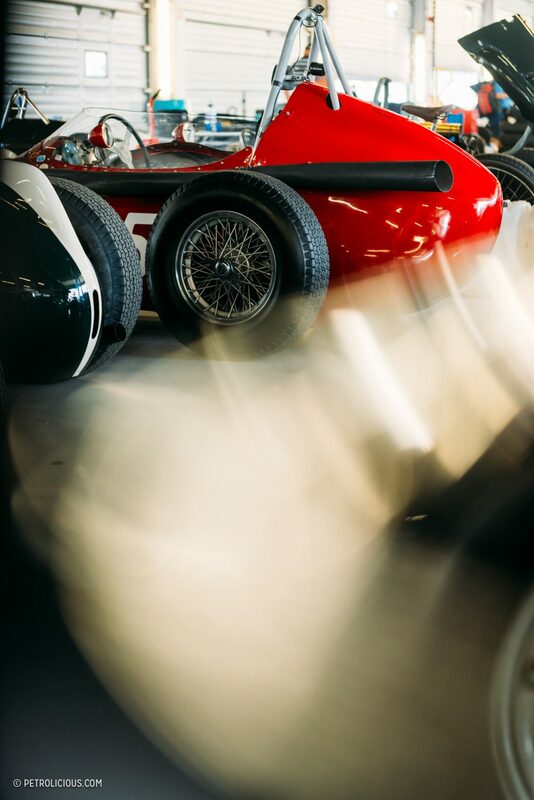 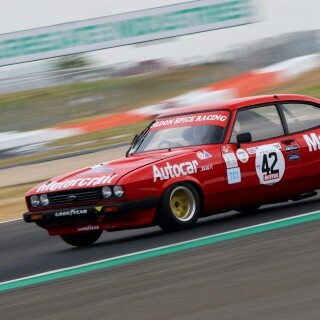 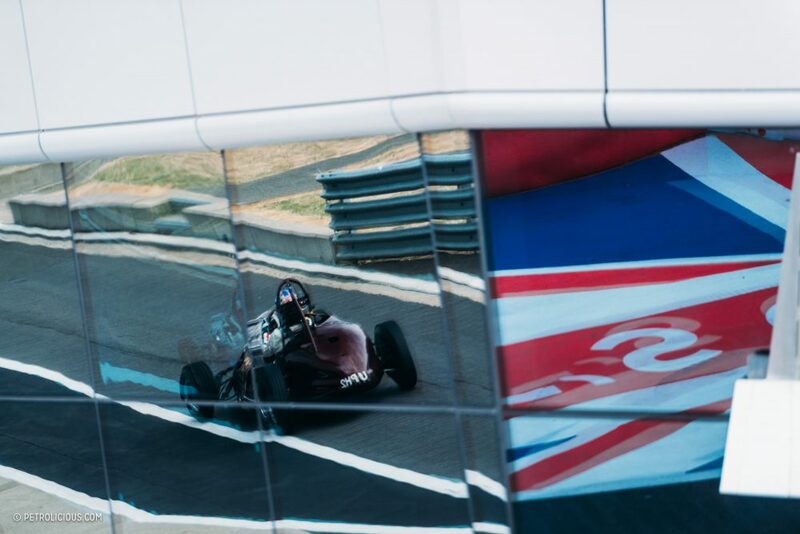 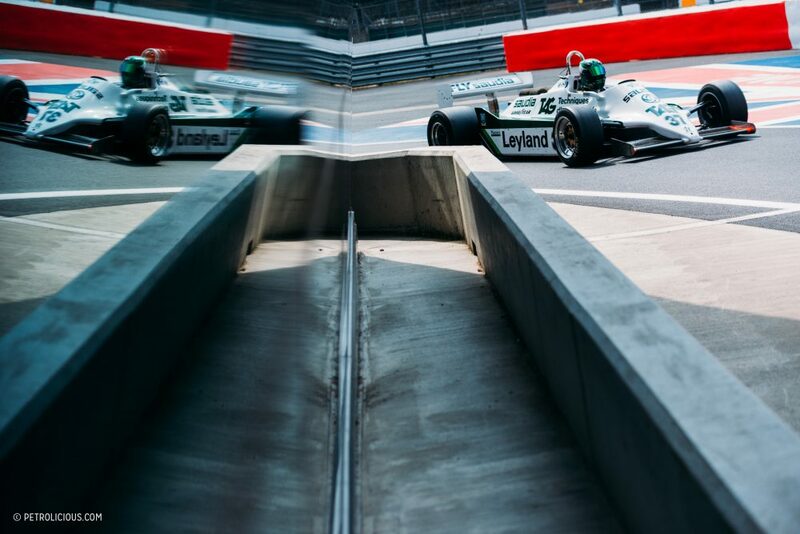 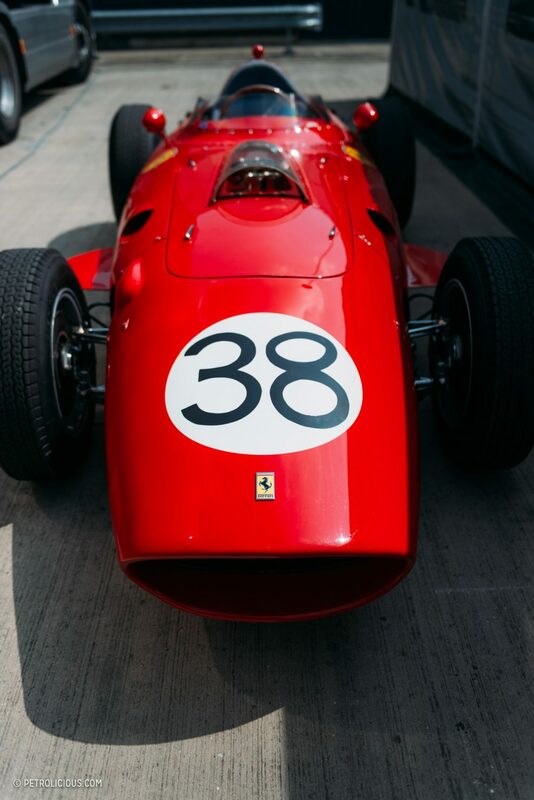 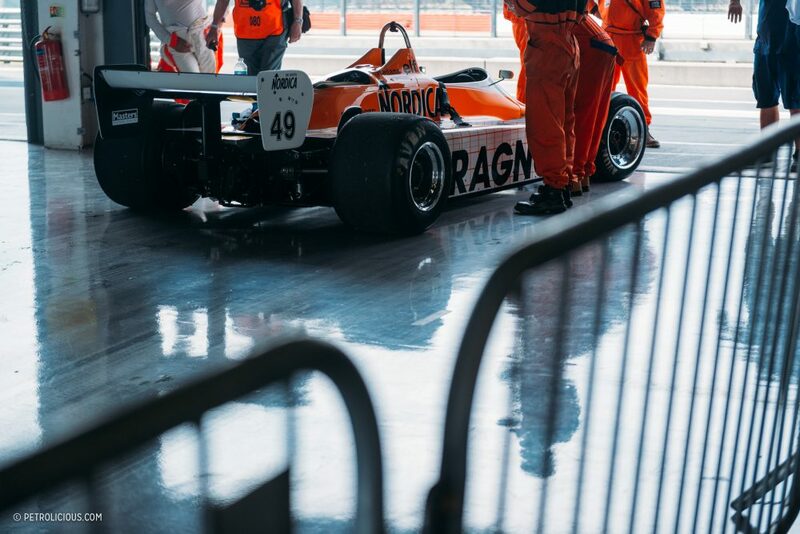 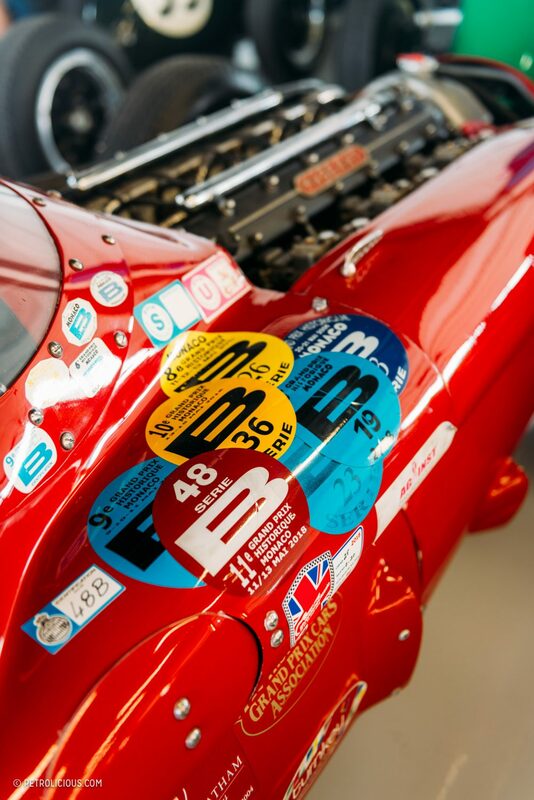 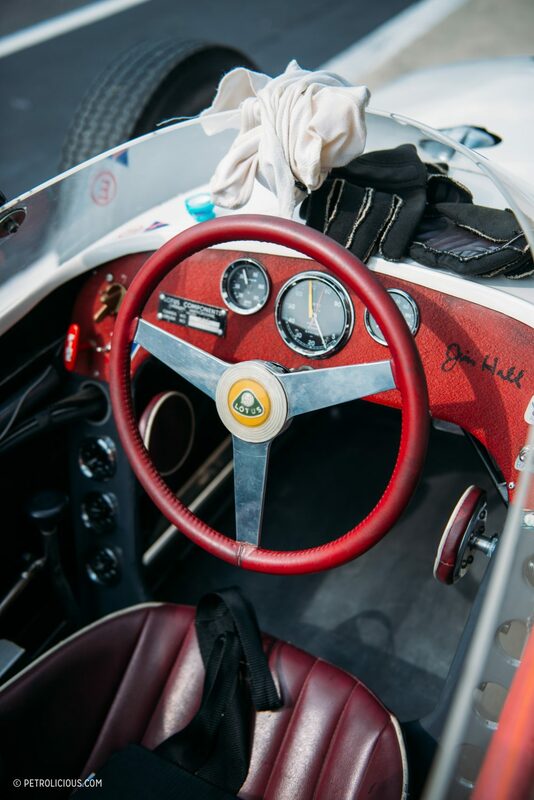 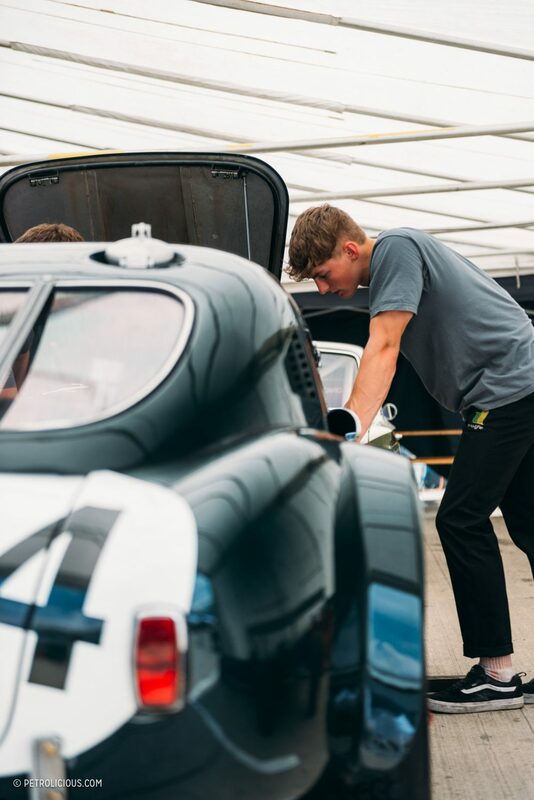 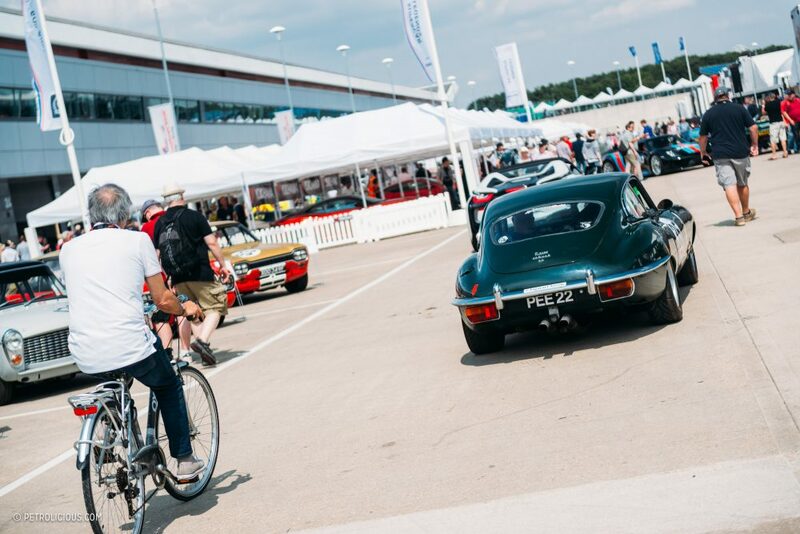 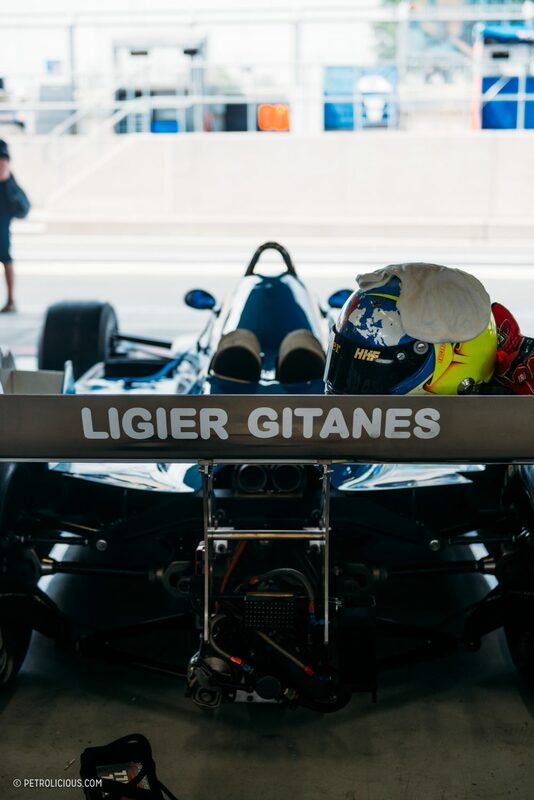 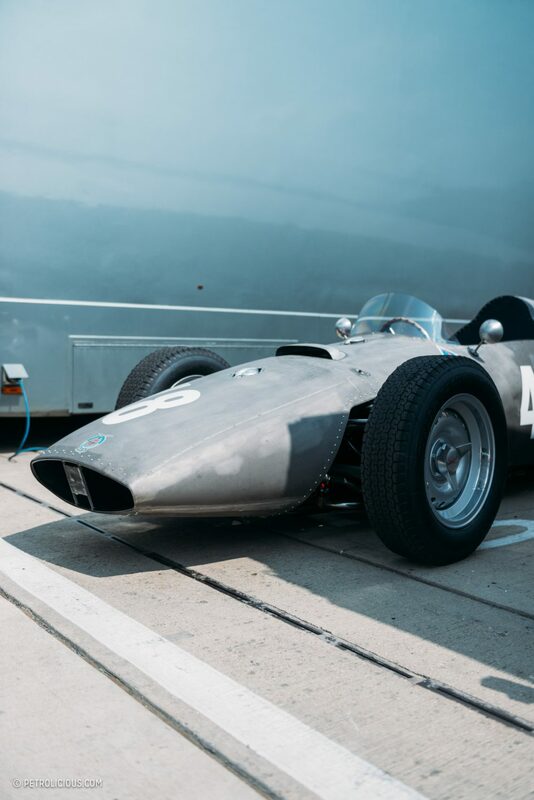 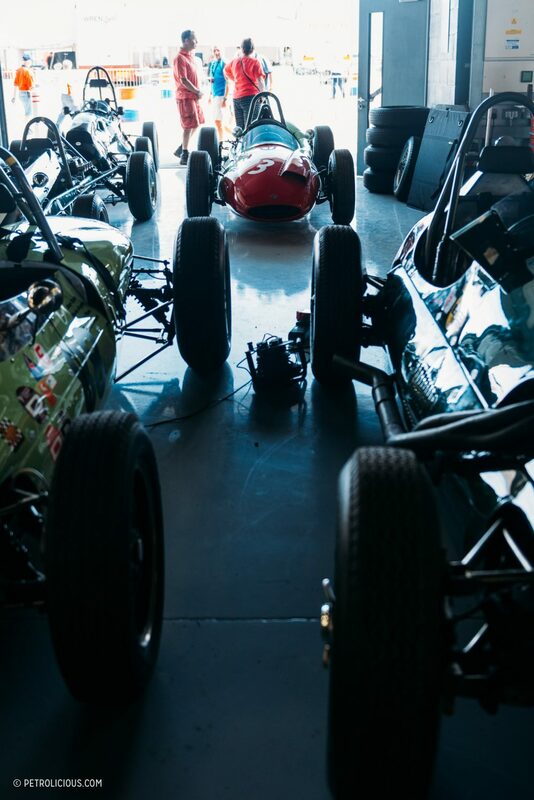 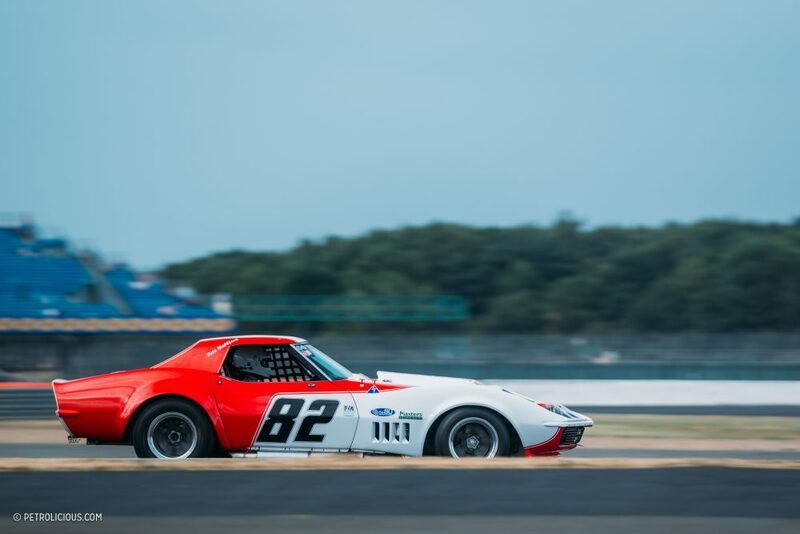 There’s room for every kind of approach to classic racing, and each major event offers something that others don’t, but when it comes to pure vintage racing, the spectacle at Silverstone is unmatched.